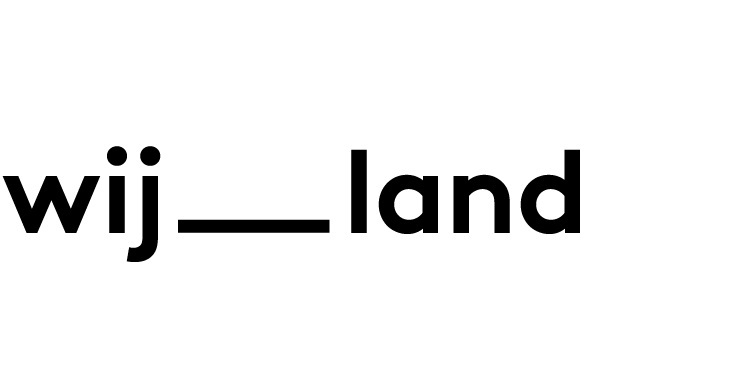 Wij__land is a sustainable building group with 26 very diverse households. The group strives to create a climate neutral, rainproof building with materials that are low in maintenance and nature friendly. up-cycle room and electric cars. The apartments range from 50 tot 150 m2. They are all connected by an oversized pergola that houses all balconies and doubles as a secondary circulation space. On the roof, next to the top flight of the staircase, the collective roofgarden and conservatory are a rewarding destination of the journey up the stairs. The pergola route motivates residents to walk up and down the building, meeting their neighbours and stimulates the community vibe. The building is completely co-designed with the building group. In a series of eight workshops we collectively discussed ambitions, typologies, circulation, sustainability, etc. Based on the groups input Space&Matter designed a building in which each individual household has a large variety of apartment sizes to choose from in which they can all realise their personal dwelling layout .